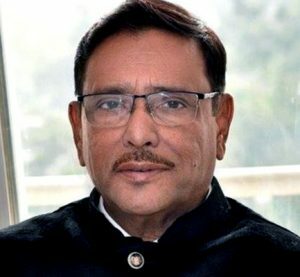 DHAKA: Awami League (AL) General Secretary and Road Transport and Bridges Minister Obaidul Quader, who is now undergoing treatment at the Mount Elizabeth Hospital in Singapore, is likely to get clearance from the hospital on Friday or Saturday next. Deputy Principal Information Officer of the Road Transport and Bridges Ministry Md. Abu Naser told BSS here tonight by telephone. 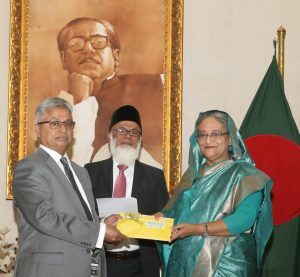 “If physical condition of Quader is improved gradually then doctors will finally examine his body on Thursday next and he could get clearance from the hospital on Friday or Saturday,” he added. 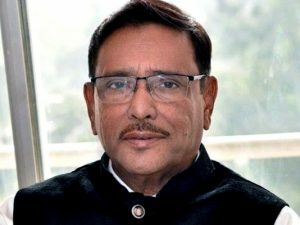 Quader is now in the hospital’s cabin and able to talk to doctors and relatives. After clearance, he will be taken to a rented house for further treatment, family sources said. 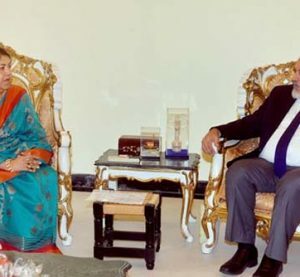 Quader was admitted to Coronary Care Unit (CCU) of Bangabandhu Sheikh Mujib Medical University (BSMMU) on March 3 last. Later, he was diagnosed with three blocks in the heart. The next day, a Mount Elizabeth Hospital air ambulance flew Quader to Singapore for better treatment as advised by doctors including famous Indian cardiologist Devi Shetty. On March 20, the minister’s bypass surgery was conducted successfully at Mount Elizabeth Hospital. With the gradual improvement, he was taken to the hospital’s cabin from the ICU on March 26 last.